One of the richest men on earth, Bill Gates have donated a whooping fifty million dollars donation to Nigeria and other West African countries like Sierria Leone, Liberia e.t.c battling the outbreak of the deadly disease. In a press statement issued today, Bill and Melinda Gates foundation said the money would be released immediately to the UN and other international organizations involved in fighting Ebola in West Africa in order to cater to the purchase of supplies and scale up emergency operations. Bill Gates also gave out additional $2M for Ebola prevention and control management. In addition, the foundation vows to work with organizations to help with the speedy production of vaccines so as to treat patients in a timely manner. God bless this man oo. 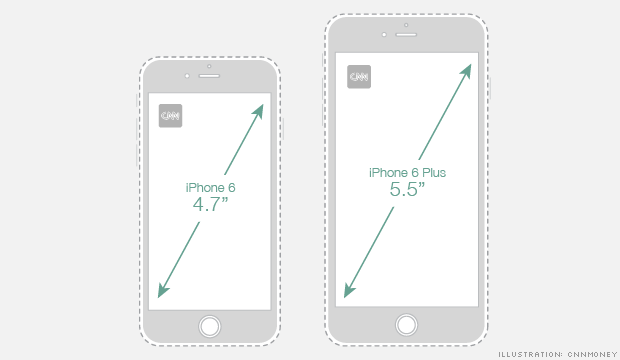 The new iPhone 6 comes in two sizes – the standard version has a 4.7″ screen and the iPhone 6 Plus features a 5.5″ screen. Here’s a simple chart that you can use to get a feel for how big each of the two models are in real life. Just download the PDF, print it, and cut out the two phones. Most people need encouragement to remove their clothing. For Justin Bieber, boos from the crowd will do just fine. The 20-year-old singer stripped down to his skivvies at 2014’s “Fashion Rocks” event on Tuesday night in Brooklyn, where he was greeted with a negative reaction from some in the New York audience. As Bieber took the stage with model Lara Stone to introduce singer Rita Ora, there were some noticeable jeers mixed in with cheers.